Everyone wants security. Whether we are at work or at home, being safe is part of being happy. Knowing security systems are in place and doing their job helps us. We don’t have to constantly be on guard. Technology and DIY can spare us the trouble of constantly being vigilant. So, whether your system uses cameras, access-control methods, or strengthens entry points, here are some tips. Camera technology: We now have vivid full-color HD camera feeds, tucked into devices small enough to blend into our home decor or completely disappear from view. Home automation technology combines two-way wireless communication with mobile app development. Home automation systems provide unprecedented options to not only see what’s happening in our homes, but also to control it from anywhere in the world. Updates to basic technology: Door and window sensors are more accurate and reliable than ever before, and there are more types of sensors that can be integrated into a home security system. With wearable panic buttons, emergency response is one touch away for the elderly and disabled. With front door cameras and remote door locks, you no longer have to be home when the housekeeper comes to clean. Wireless technology that allowed smartphones and tablets to free us from PCs now allows for home security systems without drilling holes, as well as remote monitoring that doesn’t depend on telephone lines. Safeguardtheworld.com reports that a home intrusion is committed every 13 seconds. Also, more than 2.5 million home intrusions are committed each year. Only 17% of the homes in U.S. have a security system. 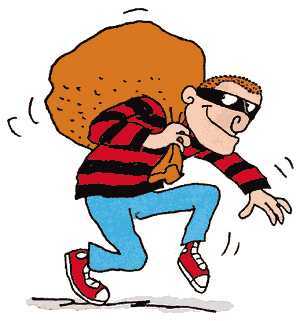 Thieves target cash, jewelry, laptops, guns, digital cameras, small electronics (iPods, GPS, PDA’s MP-3’s and CD’s). More than 2,500 cars stolen per day… almost two cars a minute. Fake security signs will make an opportunistic burglar think twice about breaking into your property. They may fail to fool experienced burglars. Make sure your ladders, pry bars, big screwdrivers, hammers and the like are secured and placed properly. Otherwise these may be used against you as burglary tools. An improvised home security idea you can adopt is to tear down delivery boxes or haul them to the dump right away. Landscaping can work for or against you. Tall and thick shrubs or trees around your windows and doors are the perfect places for burglars to hide. So a simple DIY home security tip is to regularly keep your lawn mowed and bushes trimmed. Garden furniture & decorations are targets for opportunist thieves. Car keys are handy alarms; you can press the car alarm panic button to scare away a potential thief. Enhance door security – always your priority. It is reported 23% of burglars gain access to homes through a first-floor window. Remember to keep all windows of your home locked when you are out. Find out more by reading our articles on residential and commercial security systems at Holder’s Total Security. This entry was posted in Security Tips and tagged Security Systems. Bookmark the permalink.